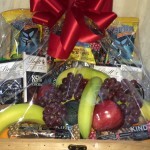 Executive Selection is just one of the many gift baskets available for your clients. Family owned and operated, we are located in Las Vegas since 2002. We offer a fine selection of food items ranging from caviar to truffles. Our personalized service will meet or exceed your expectations. Executive Selection is a gourmet delight! 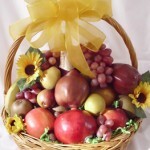 It was designed in a medium sized natural color basket which is filled with the following products. 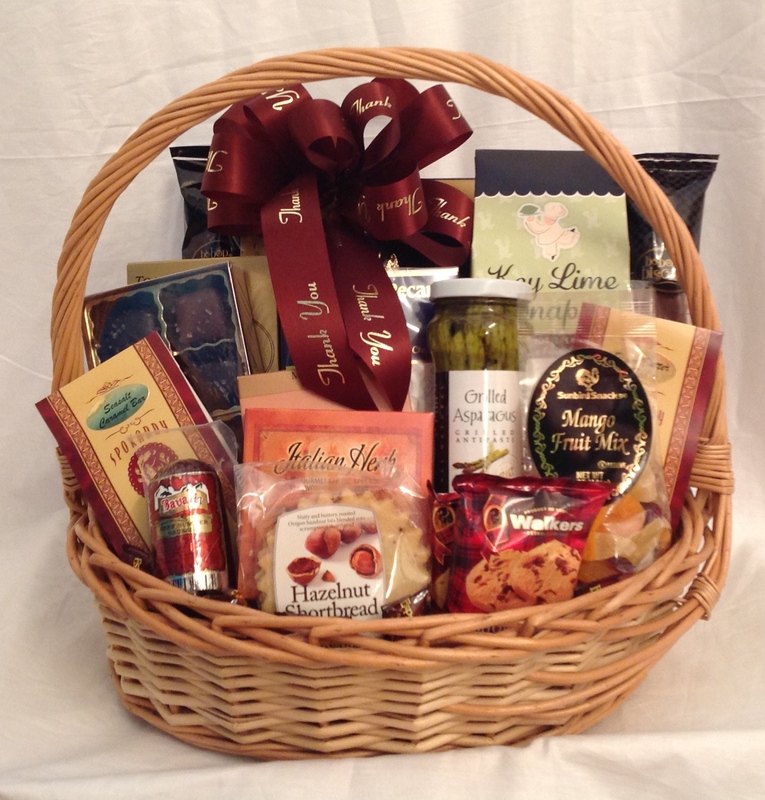 An assortment of cheeses such as Italian herb or camembert and cheddar cheese spread, assortment of crackers, 2 oz smoked salmon filet, 3 oz beef summer sausage, 2 gourmet biscotti, flavored coffee and assorted chai teas, Lemon, lime or raspberry cookies, Walkers pure butter shortbread cookies, 5 oz fruit snack mix, 2 oz dark chocolate covered almonds, caramel pecan candies, coffee candy, grilled asparagus, caviar, jellied fruit slices, flavored cocoa, assorted hard candies. Sure to please the most discrimenating palate. 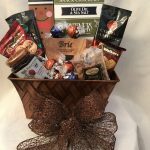 Add a bottle of wine or champagne using the options at checkout. 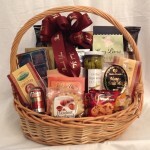 Cello wrap and hand tied bow complete this beautiful gift basket.